Finding new readers to subscribe your newsletter or email marketing campaign is a top goal for any company, but it’s important to remember that keeping those subscribers happy and keeping them subscribed is your next big step. Unfortunately, unsubscribing is something you’re also going to have to deal with as a marketer, so it’s important to know how to optimize the unsubscribe process so that you’re learning something about your audience and can reduce your number of unsubscribes in the future. The easiest way to find out why people are leaving is to ask. When a reader selects “unsubscribe,” make sure you provide a comments section. Not everyone will leave a comment, but creating this section greatly increases the odds that you’ll get some good feedback. 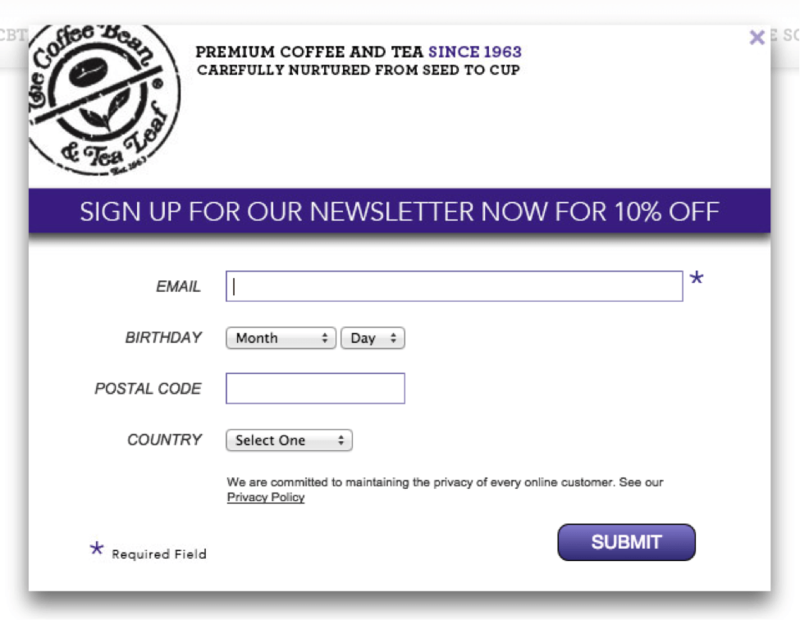 How many times have you tried to unsubscribe from an email only to get lost in the footer? 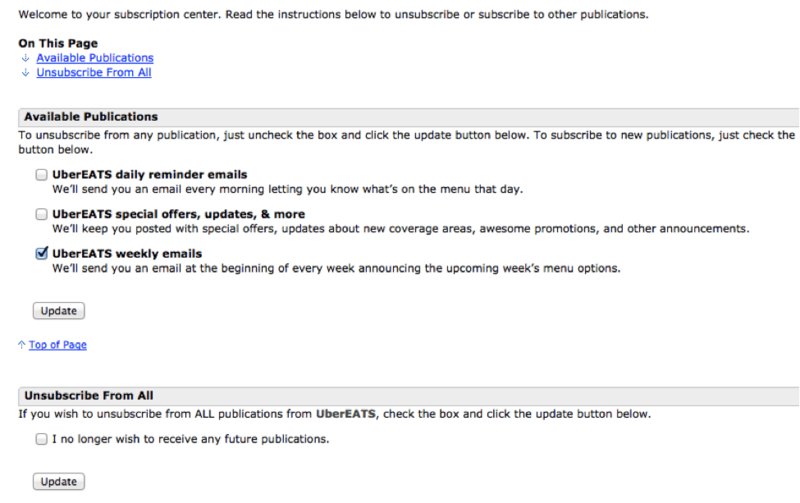 Don’t make people dig; clearly indicate in the footer of an email how people can unsubscribe. Equally important is to make sure you use the actual word “unsubscribe.” This is not the place to use creative copy writing—stick to something simple or risk confusing people. Below is a great example from Mention. They make the button easy to find, but they position it just below their social links! Some people may unsubscribe from emails simply because they dislike a clutter inbox – they may actually be very interested in what you have to say. Give users options to receive information via text and you may be able to retain some subscribers. You may be able to spend less time worrying about your unsubscribe process if you are able to keep your unsubscribe rates low. Re-focus energy on making sure users are receiving relevant information. Depending on the email client you use, you may be able to create different groups that are targeted with different information. Reach out to your email tool representative for more details on the system you use. You may still be able to communicate with users even if they choose to unsubscribe from emails. Advertise your social media sites and other relevant websites on the unsubscribe confirmation page. All users digest information in different ways, so someone who doesn’t like emails may love an Instagram or Twitter update. Your social media needs will vary depending on your product or service, but at least one of these should be relevant and you may get a Follow out of it if the option is available. Don’t forget, you can receive exclusive discounts through email! Stay subscribed and be the first to know about free events. Keep up to date with the newest trends in your industry! Never send additional emails after a user has unsubscribed—even a confirmation email. Have a confirmation page instead. Additional emails after someone actively clicks “unsubscribe” will be annoying and may cause a complaint or negative feedback about your company somewhere online (and if you don’t know how important reviews are even for your SEO, visit here). It sounds crazy, but this is actually a big one that many companies forget. Be sure to review spam laws for countries where your subscribers live. Even if you are based in the United States, your emails must be compliant with the laws in the country you are sending updates to. Good resources for this include CAN-SPAM and CASL. Failing to comply with national and international laws can create an unnecessary headache. Double and triple check your compliance to avoid dealing with complaints to the government. Do you have any ideas about optimizing the unsubscribe process, either from the standpoint of a small business or a consumer? Let us know in the comments below.